The new Logan McRae novel from the No. 1 bestselling author of CLOSE TO THE BONE and A SONG FOR THE DYING. A little girl's body washes up just outside the sleepy coastal town of Macduff, kicking off a major manhunt. Officially, the investigation is out of Sergeant Logan McRae's hands, but DCI Steel's Major Investigation Team, drafted in from Aberdeen, is getting nowhere fast. Steel is running out of ideas and time. She wants Logan back on her team, and doesn't care how she gets him there. 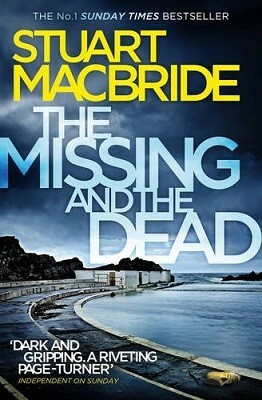 Born in Dumbarton, Scottish crime author Stuart MacBride worked variously as a graphic designer, professional actor, undertaker and a project manager for a huge IT conglomerate before turning to writing professionally. His first novel, Cold Granite, introduced a bestselling crime series featuring Aberdonian detective Logan McRae. He is also the author of the Ash Henderson novels as well as short stories and the standalone novels Sawbones and Halfhead.